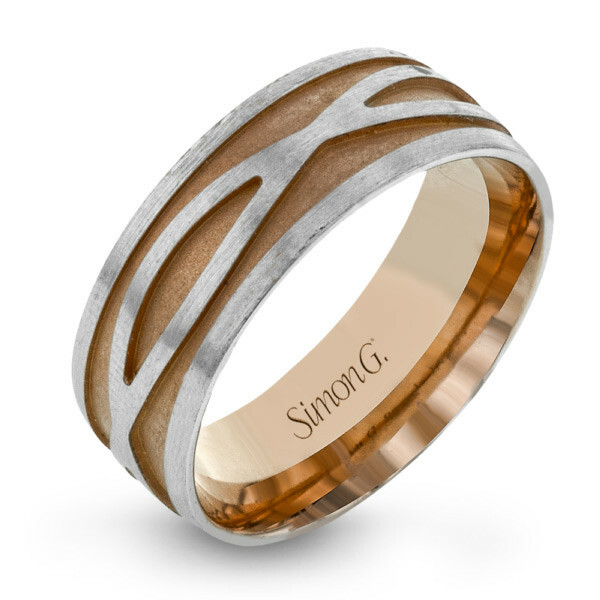 This two-tone wedding band from Simon G. features an infinity design. 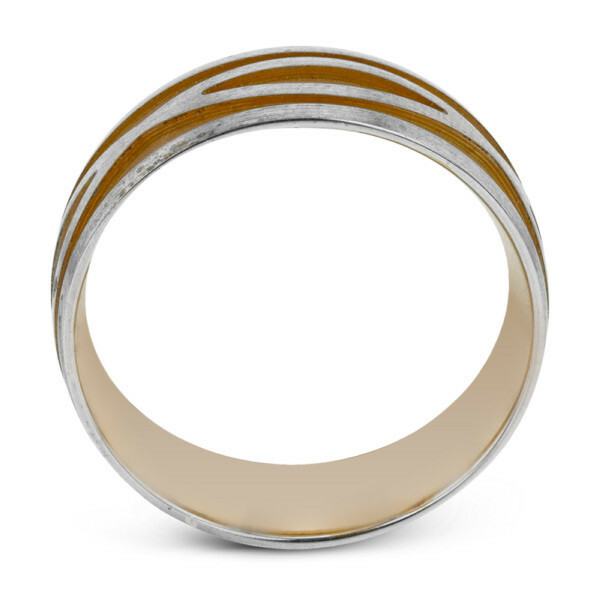 White and rose gold entwine strikingly, marrying in perfect harmony. 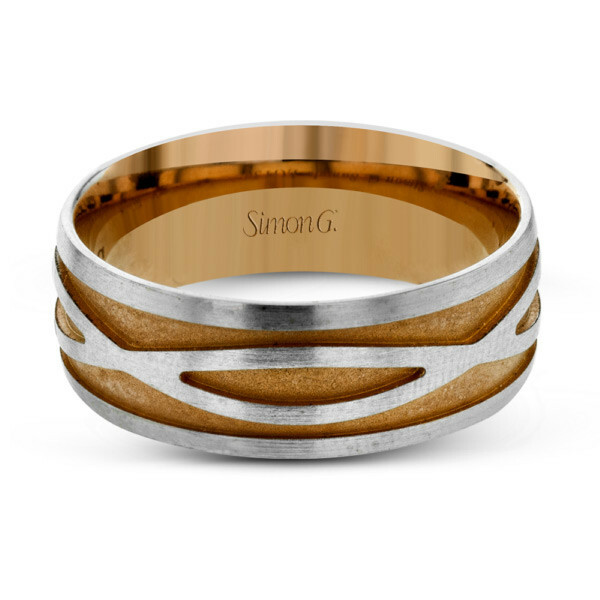 Grooms-to-be will look forward to wearing this Simon G. band forever!